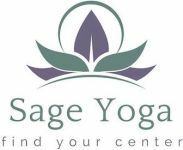 -Unlimited access to yoga classes each month! -Minimum 3 month commitment, after that cancellation must be made 1 week prior to automatic debit. -does NOT INCLUDE workshops or yoga series. -begins the first day it is purchased. -cannot be transferred to any other person. By purchasing this pass you agree to the terms.